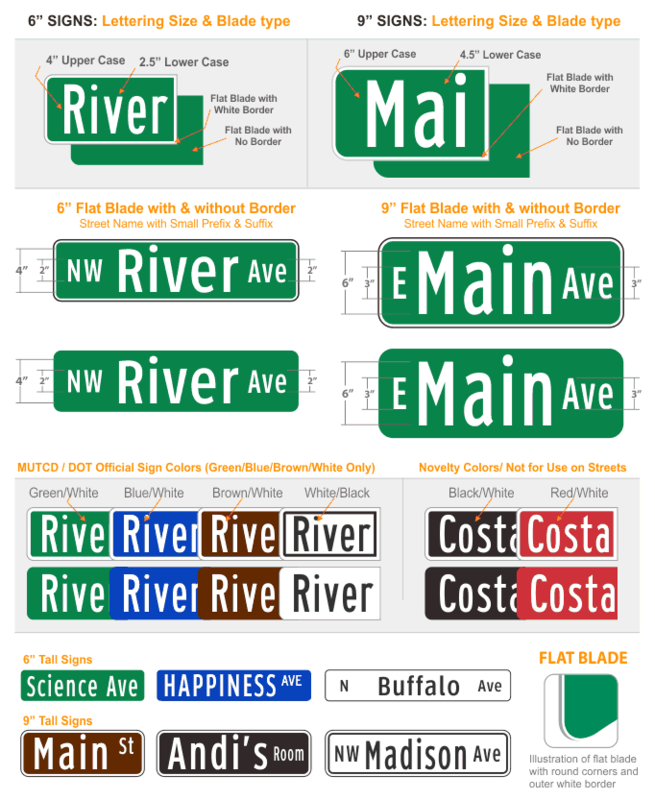 MUTCD Standard: The lettering of streets and highways on Street Name Signs shall be composed of a combination of lower case letters with initial upper case letters. Street name signs are typically supplied without holes. If holes are required select the option for mounting holes at an additional charge when designing your sign. Above see examples of finished signs.